Ideal for tributes and donor recognition projects. 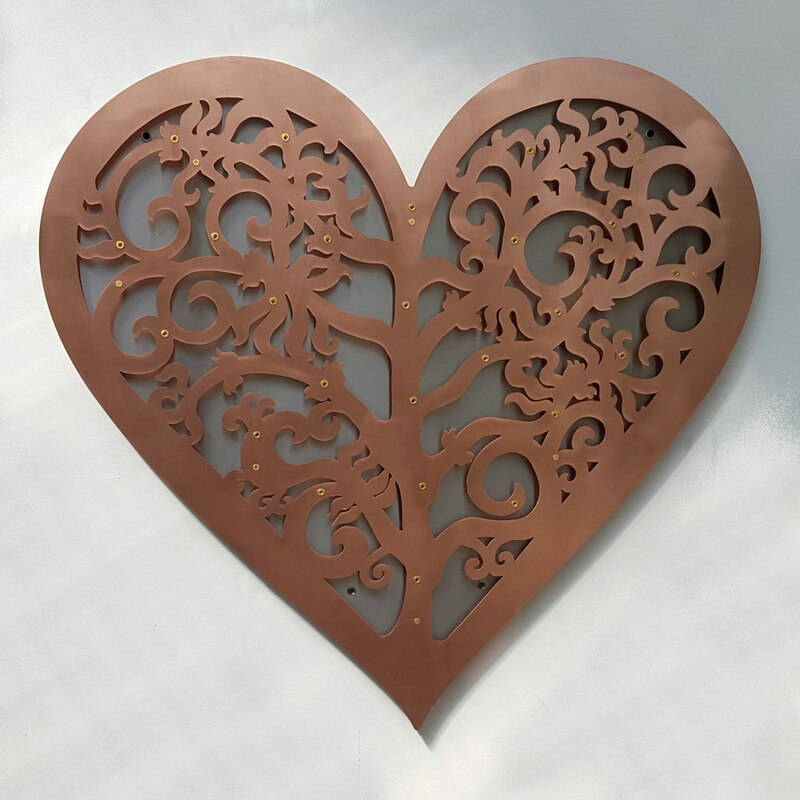 The Filigree Heart Display Board is suitable for use indoors or out. Made from pure copper, the colour will mellow over time as a natural patina develops on the surface. The stainless steel back provides a good contrast for the copper and allows the design to really stand out. The air gap between the front and back produces shadows and further enhances the appearance. All plaques are made from high quality solid metals, which are deep-engraved and paint filled to produce a long lasting tribute or memorial. Suitable for memorials, donation recognition, celebration or achievement. NOTE: this is your initial stock of the plaques. 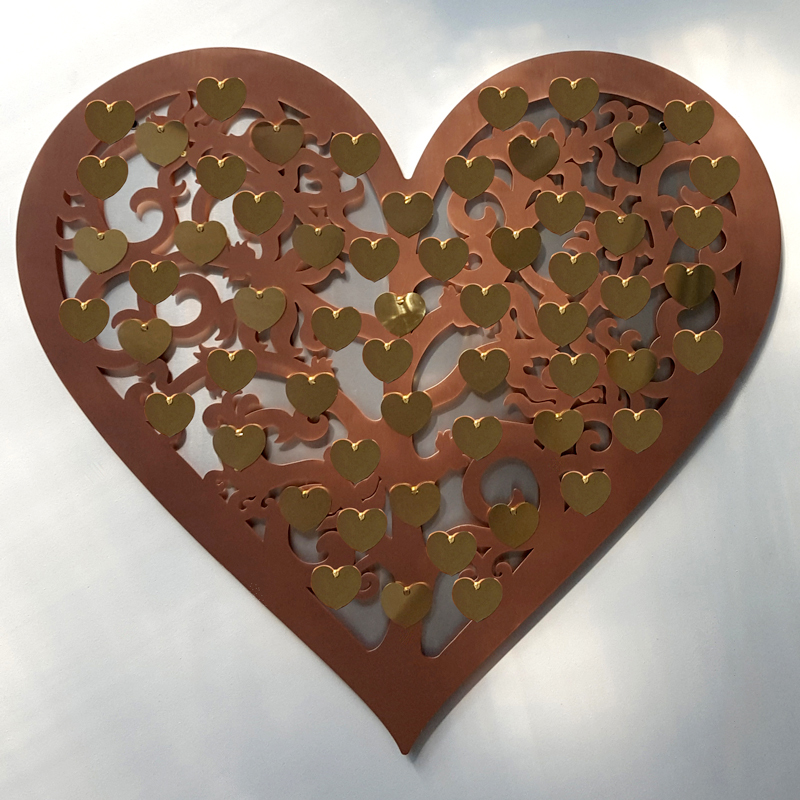 The Filigree Heart will display a maximum 75 small 60mmheart plaques. This is the most economical and flexible way to proceed. Your plaques are kept in stock, then engraved and delivered whenever and in whatever quantity required. You can also choose to have them in brass, copper and stainless steel. Additional plaques can be purchased when your stock is used up.